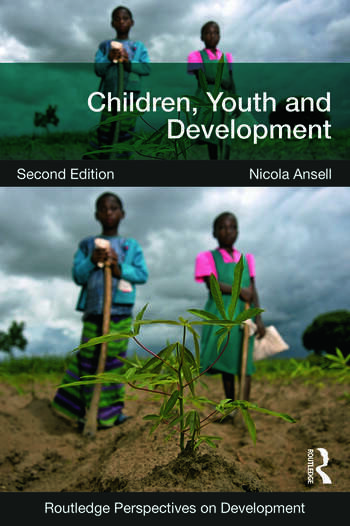 The new updated edition of Children, Youth and Development explores the varied ways in which global processes in the form of development policies, economic and cultural globalisation, and international agreements interact with more locally specific practices to shape the lives of young people living in the poorer regions of the world. It examines these processes, and the effects they have on young people’s lives, in relation to developing theoretical approaches to the study of children and youth. This landmark title brings together the stock of knowledge and approaches to understanding young people’s lives in the context of development and globalization in the majority world for the first time. It introduces different theoretical approaches to the study of young people, and explores the ways in which these, along with predominantly Western conceptions of childhood and youth, have influenced how majority world children have been viewed and treated by international agencies. Contexts of globalisation and growing international inequality are explored, alongside more immediate contexts such as family and peer relationships. Chapters are devoted to groups of children deemed to be in need of protection and to debates concerning children’s rights and their participation in development projects. Young people’s health and education are considered, as is their involvement in work of various kinds, and the impacts of environmental change and hazards (including climate change). The book introduces material and concepts to readers in a very accessible way and within each chapter employs features such as boxed case studies, summaries of key ideas, discussion questions and guides to further resources. This edition has been updated to take account of significant changes in the contexts in which poor children grow up, notably the financial crisis and changing development policy environment, as well as recent theoretical developments. It is aimed at students on higher level undergraduate and postgraduate courses, as well as researchers who are unfamiliar with this area of research and practitioners in organisations working to ameliorate the lives of children in majority world countries. 6 Health: ensuring survival and wellbeing? 8 Work: exploiting children, empowering youth? Nicola Ansell is a Reader in Human Geography at Brunel University.